Police brutality is hardly just a black issue, as Hispanics all over the country increasingly face police abuse, racial profiling, and hate crimes. Often this misconduct stems from xenophobia and rising concerns about undocumented immigrants. Across the nation, police departments have made headlines for their mistreatment of Latinos. These cases have not only involved undocumented immigrants but also Hispanic Americans and permanent legal residents. In states as varied as Connecticut, California, and Arizona, Latinos have suffered at the hands of police in egregious manners. Racial profiling. Unlawful detainment. Stalking. These are some of the inappropriate and illegal behaviors that officers in Arizona have allegedly engaged in, according to a 2012 complaint the U.S. Justice Department filed against the Maricopa County Sheriff’s Office. MCSO deputies stopped Latino drivers anywhere from four to nine times more than other drivers, in some cases only to detain them for long periods. In one instance, deputies pulled over a car with four Latino men inside. The driver hadn’t violated any traffic laws, but the officers proceeded to force him and his passengers out of the car and make them wait on the curb, zip-tied, for an hour. The Justice Department also detailed incidents where the authorities followed Hispanic women to their homes and roughed them up. 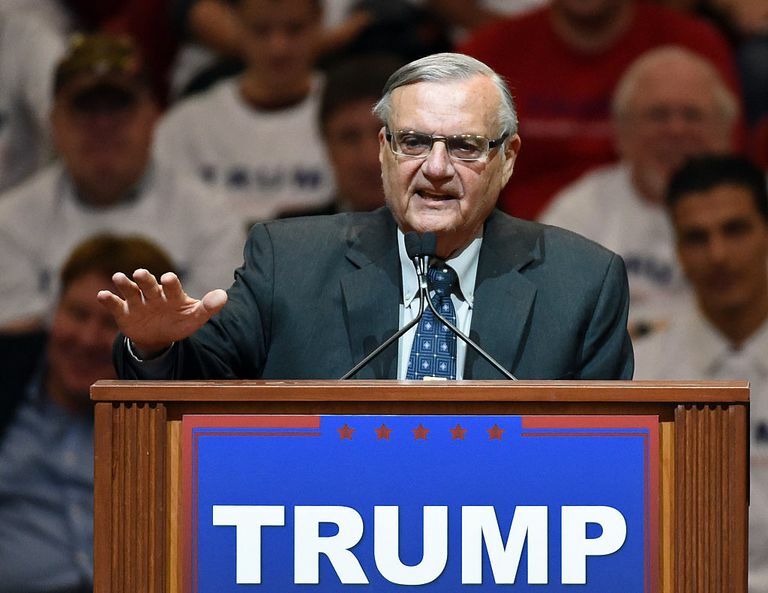 The federal government alleges that Maricopa County Sheriff Joe Arpaio routinely failed to investigate cases of sexual assault against Hispanic women. It’s not just local law enforcement agencies that have been accused of racially profiling Latinos and committing acts of police brutality against them, it’s also the U.S. Border Patrol. In April 2012, Latino advocacy group Presente.org launched a petition to raise awareness about the Border Patrol’s fatal beating of Anastasio Hernández-Rojas, which took place two years earlier. The group launched the petition after a video of the beating surfaced in hopes of pressuring the Justice Department to take action against the officers involved. “If justice isn’t served for Anastasio, even when the video clearly shows injustice, Border Patrol agents will continue their pattern of abuse and lethal force,” the Presente team said in a statement. Between 2010 to 2012, Border Patrol agents were involved in seven killings, according to the civil rights group. In an unprecedented move in March 2012, the Los Angeles Police Department determined that one of its officers had engaged in racial profiling. Which group did the officer in question target? Latinos, according to the LAPD. Patrick Smith, a white officer on the job for 15 years, pulled over a disproportionate amount of Latinos during traffic stops, the Los Angeles Times reported. He allegedly tried to conceal the fact that he’d so often targeted Hispanic drivers by misidentifying them as white on paperwork. Smith may be the first LAPD officer found guilty of racial profiling, but he’s unlikely the only one engaging in the practice. “A 2008 study of LAPD data by a Yale researcher found blacks and Latinos were subjected to stops, frisks, searches, and arrests at significantly higher rates than whites, regardless of whether they lived in high-crime neighborhoods,” the Times noted. Moreover, 250 allegations of racial profiling are made against officers annually. They tried to cover up their behavior by targeting bystanders who witnessed and tried to document their illegal acts. They also allegedly tried to recover surveillance tapes from area businesses that captured their abuses on video.